MOVING FORWARD- A YEAR IN OFFICE, published on the completion of One Year in the Office of Vice President Secretariat, in New Delhi on September 02, 2018. 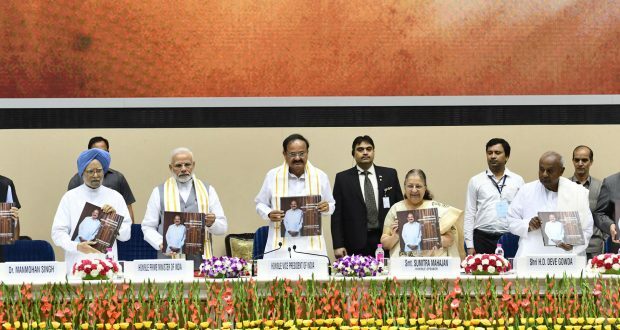 Newdelhi:2/9/18:The Prime Minister, Shri Narendra Modi, today released the book “Moving On, Moving Forward – A Year in Office” to mark one year in office of Vice President Venkaiah Naidu. He also presented the first copy of the book to the Vice President of India.